Financial aid options are diverse and will depend on each individual learner’s needs. How much does the BSN Program cost? Tuition for the BSN Program is $525 per semester credit. Tuition does not include the nonrefundable application fee, that is $100. The College reserves the right to change its tuition and fees at any time, with a 30-day notice. There are also additional fees for some courses in the BSN Program. A current schedule of these fees can be found in the College Catalog. Financial Aid (FA) staff will work individually with prospective learners to ensure that options for paying the cost of their education are explored. Creating a college savings plan is very important and helps get you started on the right foot when it comes to Financial Aid. Click here to review a basic template. For further information on Financial Aid, Program Requirements or other specific questions, you can request information here. Check and download our complete College Catalog. 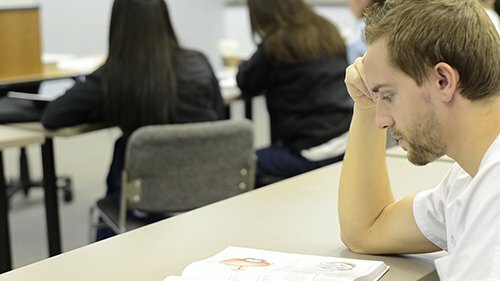 Nightingale College understands the importance of pursuing a BSN degree and offers a few scholarships that can be applied to your learner account when enrolled in the Program. All applicants are required to meet with the Financial Aid Department to review the individual financial opportunity. To help assist you during your financial assistance journey, we have compiled a list of helpful resources that should be used to maintain an understanding of the financial landscape.